You are here: Home / News / 12 Key Elements Of A Strong Relationship. 12 Key Elements Of A Strong Relationship. 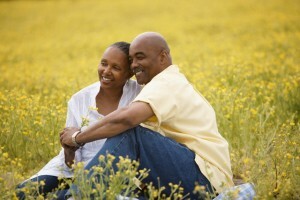 (ThyBlackMan.com) With so many single parent households in the African American community, high divorce rates and children severely confused about roles and gender, it’s past time to look at what a real relationship between a man and a woman in the African American community should look like. Everything from LGBTQ to abandonment, child abuse, neglect, prostitution, sexual molestation and runaway after runaway are crushing our families and family values. Too many people are forgetting what a real relationship should be about and that creates cycles we cannot afford to have in our communities. We also cannot afford to get offended and live in denial when we are told the truth about problems and solutions. It’s time to restore the family by first rebuilding the relationships between our men and women on solid foundations instead of self-centered, wayward confusion or whatever feels right. So what qualifies me to hare this information with you? I have done the theological, psychological and sociological research. I have been trained to help others build strong relationships and I have done just that a thousand times over for decades as a marriage, family and relationship counselor. I am in a strong marriage relationship. I have seen strong relationships such as the one my parents displayed for 54 years. But remember, you and/or your partner may not have seen the same – and that’s OK. Both of you will need to recognize the differences in what you have seen, grown up with and experienced. Each person generally tries to subconsciously recreate his or her “normal” based on what he or she saw growing up. And if the two of you saw two completely different types of relationships, just know that is an issue you both will need to address together. Never assume what you were taught was the only way, the 100% right way or even the best way for you and your partner. Maybe so or maybe not. But such is worth examining together as a couple and with open minds and hearts toward each other. Before we go on, though it may offend some of you, I have to say this article is for building and rebuilding strong African American male/female relationships. That includes marriage relationships, those engaged and serious dating relationships with a future. If you are LGBTQ I cannot help you with the advice in this article. If you are a player, a user, an control freak, an abuser or a little boy or little girl, I cannot help you with this article because the advice herein requires sincere effort as well as mature approach. If you want the stability, beauty, passion, fulfillment, uniqueness and productivity of a real relationship as it was intended to be from the beginning, this article is for you. A great relationship between an African American man and woman, if it is to both succeed and set the right example, should consist of at least the following 12 elements. If they seem difficult, welcome to the reality of building a phenomenal relationship. If they seem like Hell, too much or impossible, you are not ready, you are with the wrong person or both. Share what you are thinking and feeling but always respectfully. Holding things back until an argument arises is foolish and unproductive. Plus it builds up tension and fuels anger leading to resentment. Your partner should not have to try and read your mind. You have a mouth and a voice to communicate so do it. And never assume that your partner should have known when you could have simply spoken up. Far too often men and women stand before God and lie to Him and each other. They vow “til death do us part” but then end up in divorce court. Yet things happen but those things do not erase what you vowed. And vows should be taken seriously because breaking them has all kinds of unforeseen consequences. Your word should be your bond and your credibility is on the line every time or any time you break it. Make sure you understand what real commitment means. As a relationship counselor I have seen more cases than I can count where one or the other person in the relationship has to check the other person’s phone. That is a sure sign of distrust and it should not be necessary. on the other hand, are you able to hand your phone to your partner and say “go through my phone as much as you like“? Make sure you do not bring distrust issues with you from past relationships or past instances where you were burned. And don’t give your partner a reason to distrust you. Real love needs to be distinguished from lust, sexual infatuation and obsession based on one trait or the other. Real love should also be based on who your partner is, not just on what your partner does. Why? Because a relationship based on what your partner does will weaken when the behavior stops. and sometimes people exhibit behaviors to get you interested, a resume’ face of sorts. That being said, if you don’t plan to keep up the behavior, don’t start it. Be genuine and require the same. While some behaviors, words and statements are almost unforgiveable, you should still always make an effort to do so. Why? Because you are not perfect either. Because you also make mistakes. And because sometimes you may even contribute to the problem intentionally or unintentionally. Forgiveness also involves letting the small things go or as many have said, “don’t sweat the small stuff”. The strongest relationships are those where one partner can take up the slack for the other when necessary without remorse, regret nor resentment. You should NOT expect everything to go your way because a strong relationship is NOT ABOUT YOU. Nor is it about your partner. It is about the relationship itself. A strong relationship will cost you much, ideally all, of yourself. That means 100/100, not 50/50. So if you are not willing to contribute to the relationship you want, maybe you don’t deserve to have it. The same must be true for your companion so initiate the discussion. Sadly too many people want more than they are willing to bring to the table. I see plus sized women wanting fit men. Why? I see broke women wanting men with good jobs, nice homes and cars. I see men wanting intelligent, educated women but the reverse is not true. And while a relationship should never ever be based on material things that wear down, grow old and fade away, there should be a strong component of making the sacrifices to achieve more together than each person could do on their own. In counseling women I often heard them say “I can do bad all by myself“. My question to them was “but how good can you do all by yourself“? Rome was not built in a day. it takes time to learn each other and grow together. Guys she does not have to be like you nor think like you. Nor should you expect the reverse to be true – at least for a while. Eventually, if you hang on there, your methods or approaches, behaviors and thoughts will begin to blend and complement each other. Thus differences should always complement each other instead of competing with each other. This takes time and very often the most dangerous and rocky period in a relationship is the first year the two of you are together in the same household. This is because you have to get used to the differences and learn to appreciate them or voice your concern respectfully regarding them. Sometimes a good solution when there are two conflicting approaches is to get rid of both of them and create one together from scratch. Also, even if you have been living together, when you put on that ring, say “I do“, speak the vows and yoke yourself with your companion for life – things are different than when you were just living together. This includes treating your partner the way you would want to be treated, not just how your partner treats you. Fairness also deals with expectations. Do not expect your partner to do something for you if you would not readily do the same twice. Be what you want from your partner. Lead the way. Balance is one of the hardest yet most valuable traits in life to find, achieve, keep and perfect. Spending time with each other yet giving each other space. Spending money but not too much. Intimacy but not too little. And the list goes on and on. The husband should be the head of the household but brothers if you are simply thinking you should be a ruler instead of a leader by example, you are headed for a brick wall of conflict. That being said, the game of playing house does not come with the same authority. Gentlemen your woman should be beside you always, behind you never and contributing to your vision forever. You both are equal with different roles that require different mindsets, different skill sets and sometimes even different approaches. But the diversity should be seen as a good thing which will provide perspectives and different angles on all sides of any issue you tackle together. If you want to be respected, put that respect for your companion out there up front and keep it there. Do not get too common in your words or deeds. But you can’t just be respectful, you also have to be respectable. That means you have to maintain a standard of how you care yourself, even when others do not respect you. This will help you to be the bigger person when you need to, as often as you need to. This will also help you to look in the mirror yet not to fear what you see. Carry yourself in a way that ushers in respect from your partner. Keep your word. Handle problems with wisdom and maturity. Guys ask her advice and listen to it, using it whenever you can, as often as you can. The more time you spend together, the more you learn each other where it counts most. Talk, share experiences but don’t expect to know your companion by sitting quietly in the movie theater. The more both of you share the more you both will understand how your companion thinks, acts, reacts and why. You will come to understand your partners fears and hopes, dreams and regrets. Until you truly know the heart of a person you do not know the person. You do not have to always agree, but you both should make every effort to understand how the other person feels. The two of you will not always agree. But disagreement does not have to end in argument or conflict. In fact disagreement, when look at properly, can be seen as a positive. It should be seen as simple differences of ideas and opinions whereby each person can learn from the other. Maybe a different way, maybe a better way or maybe even a way that combines the ideas from both of you. A relationship should be treated as a living entity all its own. A life of sorts that needs constant attention and requires work. As both people contribute to the relationship more than thinking about themselves, it grows stronger and stronger with the ability to take care of both people. There is much more to having a strong relationship, of course. But I have handed you the basic building blocks, the foundation that can hold everything else which comes with a real relationship. The principles and parameters that have been proven over and over and over again. You may disagree with some of these guidelines but you will also find them present in virtually every strong, long lasting relationship. Always remember that real relationships are not about the game because strong relationships are not a game and not for the selfish, the timid nor the immature. Apply the 12 elements herein and see the results for yourself. I did not create them but I have seen them work – and hopefully, you will too. Just make sure you select a companion who is willing to take the journey with you, even through the storms. Here is to the success of your relationship and to the positive cycles you and your companion will leave for generations to come. It is actually 13 elements listed.